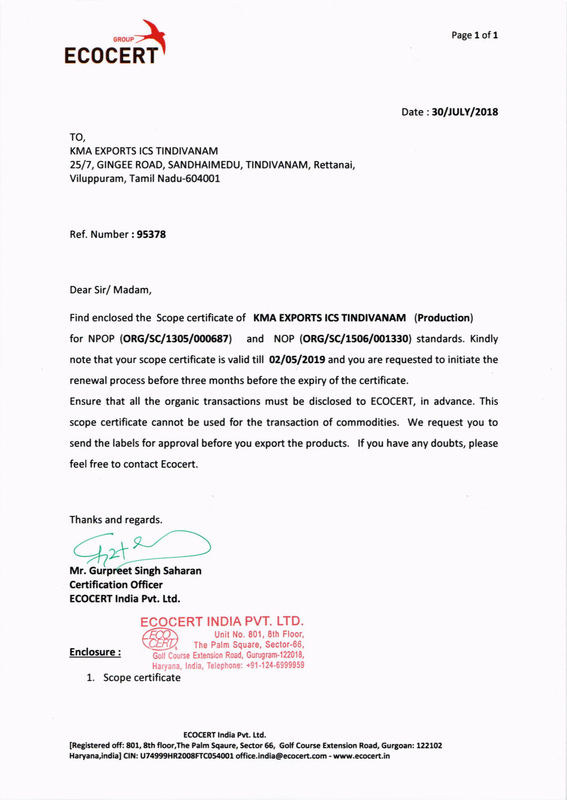 KMA Exports is a collective of amazing people striving to build delightful products. 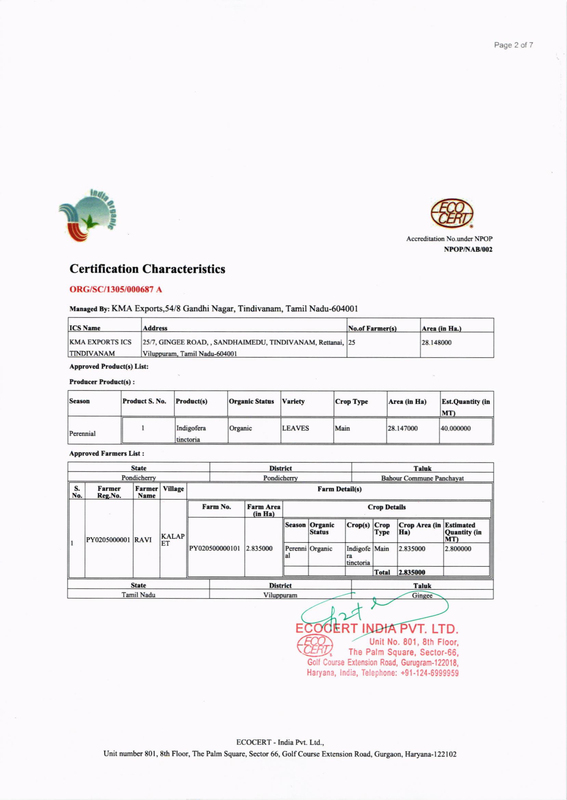 Every product we produce are organic and with the best quality. 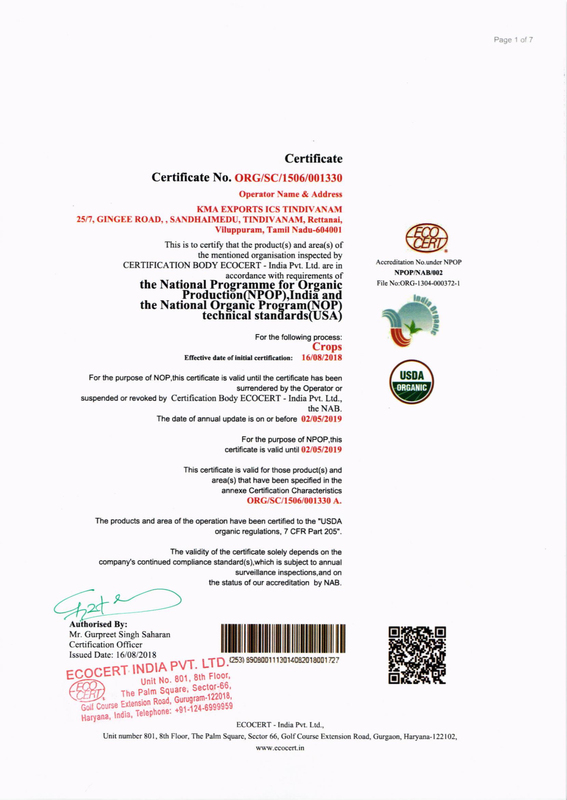 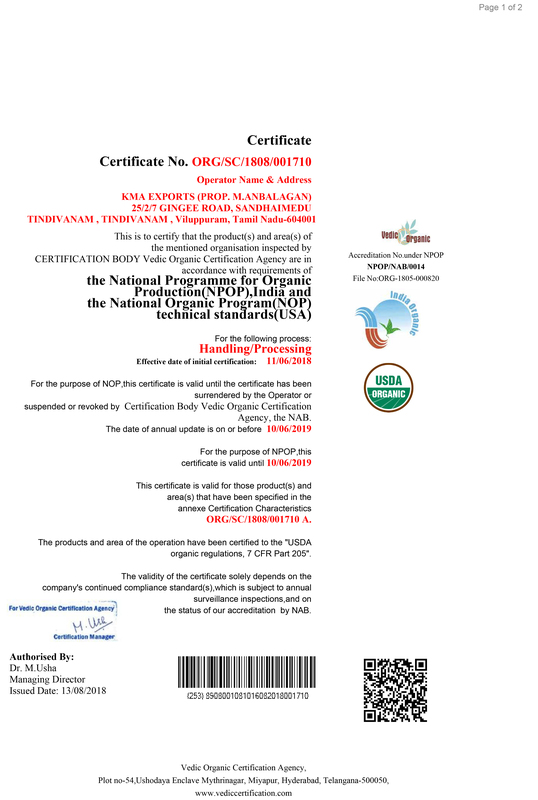 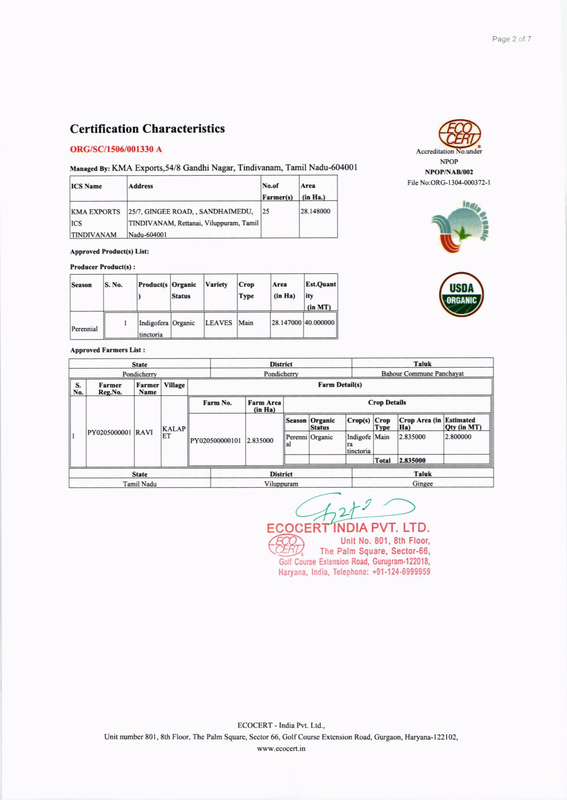 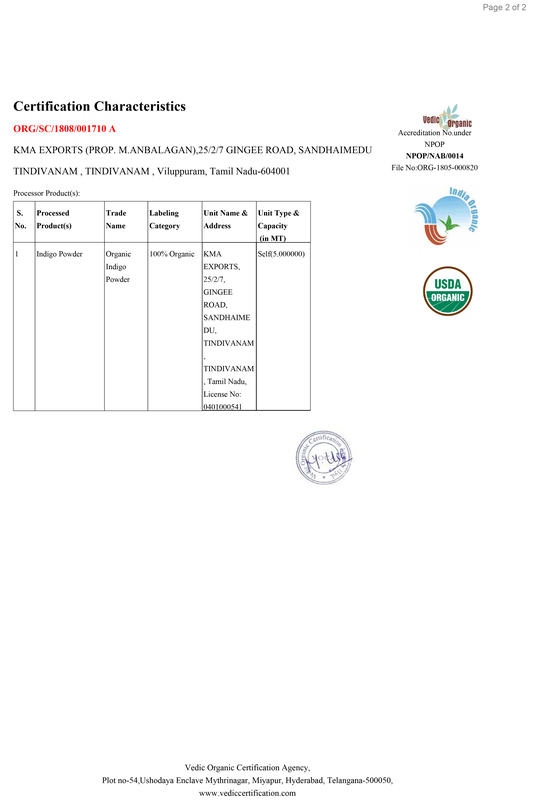 Our products strictly follow the protocol for organic production.